Definition of Yoga (from Yoga Sutras): Yogash chitta vritti nirodhah. Tada drashtuh svarupe avasthanam. Truth is the Highest "T"
the nature of all things becomes known. Self-Realization is the Goal: Self-Realization in the Tradition of the Himalayan Masters; purpose, goals of practice, methods of realization; includes seven sound files. Our approach to meditation is neither exclusively cultivating one-pointedness of mind, nor exclusively promoting insight or mindfulness. Rather, these are emphasized as companion practices. Meditations on attitudes of friendliness or lovingness, compassion or mercy, gladness or goodwill, and acceptance or neutrality are most important, and are seen as preliminary practices to stabilize the mind in preparation for the subtler meditations (Yoga Sutras 1.33-1.39). We practice breath regulation and breath meditation for their immediate benefits, and as a foundation for the advanced practices. We employ the classical approaches of raja, jnana, karma, and bhakti Yoga, as well as hatha, kriya, kundalini, laya, mantra, nada, siddha, and tantra Yoga. Meditation, contemplation, mantra and prayer finally converge into a unified force directed towards the final stage, piercing the pearl of wisdom called bindu, leading to the direct experience of the absolute. Seven Skills for Meditation: While there are numerous specific techniques related to meditation, this article summarizes seven core skills that are useful for all of us to develop. Converging Four Practices: By practicing each of the practices of Meditation, Contemplation, Prayer, and Mantra, these four converge into a unified force of clarity, will, focus, and surrender. Diaphragmatic Breathing: Breath training is one of the most important foundation practices for advancing in meditation; article includes extremely clear photos. Two Harmonious Directions in Life: As in physics, there are two forces at play; one moving outward into the world, and the other drawing us inward toward Self-Realization. Yoga Sutras: Yoga Meditation is outlined in 196 pithy statements or Sutras, summarized on one page so as to see the "big picture. See also: Summary page | List of 196 Sutras | Introduction | Narrative | Patanjali | Download | Chapter outlines | Seven Keys | Questions | Yoga Sutras in PDF. AUM Mantra: OM Mantra outlines seven levels of consciousness, and provides a roadmap for the entire process of sadhana in Yoga meditation. Avidya and Adhyasa: Two processes in Yoga that are extremely useful to understand. These two take us evermore out into the external world. To recede back through these two leads us inward to the direct experience of Samadhi, Turiya, or Self-Realization. Coordinating the Four Functions of Mind: One of the most central practices of mindfulness or introspection is witnessing and coordinating the inner functions of manas, chitta, ahamkara, and buddhi. Training the 10 Senses or Indriyas: Along with the four functions of mind (above), training, witnessing and withdrawing the ten "senses" is essential to advancing in meditation. Karma and its Sources: Systematically moves through a graphic representation of how karma is created and systematically weakened. Of critical importance is the relationship between karma and samskaras. Kundalini Awakening: The process of balancing energies, awakening and raising kundalini is explained in a series of six pages and six graphics. This general outline and description provides a broad overview. Mantra and 13 tips on use: These practical suggestions are general in nature and should apply to most any use of mantra. 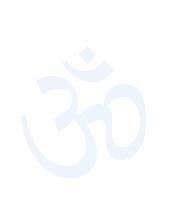 Includes links to other Mantra articles on the site, most important of which is Om Mantra. Great Contemplations - 7 Mahavakyas: Contemplation is an extremely useful, if not essential companion to meditation. This article presents the practice of seven traditional contemplations called Mahavakyas. Yoga Meditation in 16 parts: This page gives a one sentence description of Yoga Meditation. The sentence has 16 links that further explain each part of that one sentence. This is a very practical learning tool. Modern Yoga versus Traditional Yoga: Describes recent alterations of Yoga, and that Yoga is not merely a physical fitness program; includes quotes from several well-known authorities on Yoga. Yoga and the words Hindu and Hinduism: There are two diversions from traditional Yoga. One is that Yoga is physical fitness and the other is that Yoga is a religion. Yoga and Institutional Religion: Yoga is in religion, but religion is not in Yoga. Yoga itself has no deity, worship services, rituals, sacred icons, clergy, temples, churches, or other characteristics of religion. Mysticism, Yoga, and Religion: Mysticism and Yoga can be practiced either within the context or religion, or outside of it. Yoga and Mysticism are on the esoteric end of the the esoteric-exoteric polarity. Yoga is complete unto itself. In Yoga, each level of our being is trained independently, while also being trained to flow together. The systematic processes deal one-by-one with our actions in the world, senses, body, breath, and and both the conscious and unconscious aspects of mind. Mindfulness of the emotional and mental processes of the Conscious mind is very stabilizing. In Yoga, this includes meditation and contemplation on attitudes of friendliness, lovingness, compassion, and acceptance. It includes cultivating non-harming, truthfulness, non-stealing, remembering of truth, and non-possessiveness. However, many stop at this level of mind, and effectively build a wall between the Conscious and Unconscious, not willing to explore the depths of the Unconscious. Many get stuck here by thinking the goal of meditation is only a calm mind. For Union, Yoga, Samadhi, or Turiya, the streams of thoughts in the Active Unconscious mind need to be encountered, explored, and only then transcended. By allowing the Active Unconscious to come forward and be witnessed in a neutral way, the thought patterns colored with intense attraction and aversion gradually weaken, allowing a greater peace and freedom of mind. This is one of the most direct ways to deal with the purifying, centering, or balancing of troublesome thoughts. However, few go beyond the boundary between the Active Unconscious and the Latent Unconscious. The Active Unconscious has alluring visions and sounds. Only the most dedicated Yogis are willing to completely transcend sensory experience of both external and internal objects, and to pursue the formless Latent level out of which the Active arises. To be fully aware of the Latent Unconscious is a very deep state, and an aspect of advanced meditation (Authentic Yoga Nidra reaches this Latent Unconscious level with practice). It is underneath, beyond, or prior to the pictures and words of the Active Unconscious. It is the ground out of which those emerge. All sensory experiences such as sights and sounds have been left behind, whether of external worldly objects or inner images. To consciously rest in the awareness of the Latent Unconscious is to be filled with bliss. However, there comes a point where individuation itself is the final wall, and even the bliss needs to be transcended. Even for the experienced practitioner this can be a great obstacle. It is beyond the mind in the conventional sense of mind, so the mind can no longer be an aid. Body and breath cannot help. It is only surrender that finally helps. Whether you call it Grace, God, Guru, Shaktipat, or some other name, the greatest help of all finally comes from within to remove the final barrier of ignorance (Avidya). 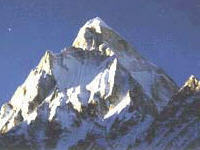 This final stage is a process that has been called piercing the pearl of wisdom (Bindu). A Yogi does not debate whether the Realization is called Yoga, Self, Atman, Soul, or God, etc., but rather, lives "in" the world while not being "of" the world. In the traditional Yoga Meditation of the Himalayan tradition, one systematically works with senses, body, breath, the various levels of mind, and then goes beyond, to the center of consciousness. The science of Yoga Meditation as taught by the Himalayan sages is already a whole, complete science that has been torn into smaller pieces over time. Individual parts have sometimes (unfortunately) been cut out from the whole of traditional Yoga Meditation, given separate names, and then taught as unique systems of meditation. The perspective of Yoga Meditation on the SwamiJ.com site is that it is not a pasting together of disparate Yogas, but an already unified whole that we might call traditional Yoga Meditation, or simply Yoga. Finally, traditional Yoga Meditation leads one to the direct experience of the absolute, pure, eternal center of consciousness, the Absolute (Turiya; 4th beyond AUM), as reflected in OM Mantra. The root meaning of Yoga Meditation lies in the meaning of the word Yoga itself, which comes from "yuj" which means "to join," to bring together the aspects of yourself that were never divided in the first place. The Yoga Sutras of Patanjali is a primary source of learning the practices of traditional Yoga Meditation. The finer points of Yoga Meditation are described and taught face-to-face, as it is an oral tradition. Hopefully, the many articles on SwamiJ.com will enhance your understanding and practicing traditional Yoga Meditation. There includes a succinct outline of Beginning, Intermediate and Advanced Yoga Meditation. In the Himalayan tradition, Yoga Meditation is not limited to just the Yoga Sutras, but also includes Vedanta and internal Tantra, while also acknowledging that the practices are also contained in many other sources (See the article, Yoga, Vedanta, Tantra). The teachers of the Himalayan tradition may emphasize or draw on some of these (or other) sources more or less than others, matching the teachings with the student. Traditional Yoga Meditation in the tradition of the Himalayan masters also involves the process of Kundalini Awakening, and this is described in a series of pages on the site. 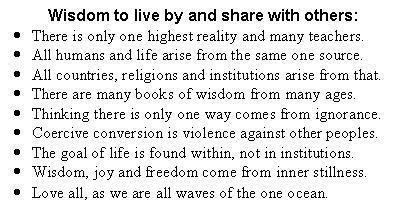 This "one" living in, or permeating the three cities is the Turiya, or fourth state in the AUM mantra. In Tantra that "one" is known as Shakti, or sometimes Maha Tripura Sundari, which means the great, beautiful one, essence, consciousness, or reality living in the three cities. Yoga Meditation itself is not a religion, although some of the principles are contained within the various religions. There are articles on Mysticism and Religion on the site, which should give a good overview of this perspective of traditional Yoga Meditation. The many articles on Yoga Meditation are linked directly on the home page (above), as well as the Index pages, which are at the top of this, and other pages. You can easily access those Indexes by clicking on the little mountain icon at the top of any page on the site. Please enjoy your visit to the SwamiJ.com site on Yoga Meditation of the Himalayan Tradition, and do come back often to visit.